Various sectors highlighted in the budget include Agriculture, Education, Health, Tourism, Culture and Creative Arts, Energy, Infrastructure Sector, Roads and Highway, etc. Under Agriculture, the Minister said when addressing the House that, graduates are to provide extension services to farmers under the planting for food and jobs program. He revealed that about 2,160 university graduates and 1,070 other youths were recruited to provide support to farmers across the country. On the Energy Sector, the Minister said that the country’s installed generation capacity was increased from 4,132 MW in 2016 to 4,577MW in 2017 and in 2018, Government will continue to increase the installed generation capacity by about 487MW (Cenpower; 340MW, Early Power Phase 1; 147MW) to meet the growing demand of electricity. 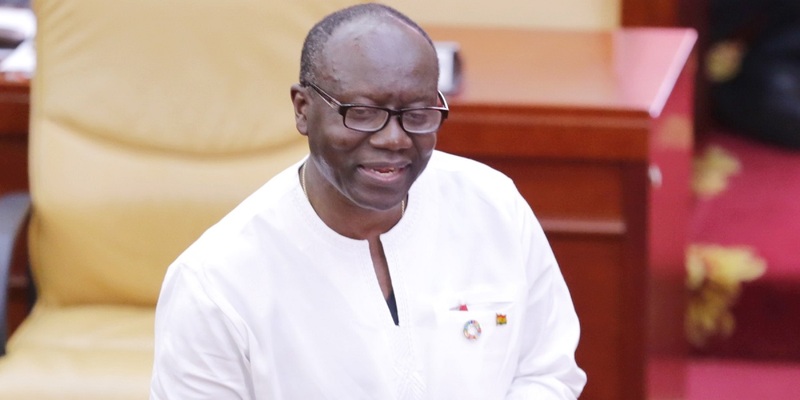 With focus on housing, Hon Ken Ofori Attah said in 2018, about 10,000 housing units of various types shall be executed in all the regional capitals of the country. The Minister added that in 2018, the Ministry’s Railway Master Plan developed in 2013 will be reviewed and new rail line extensions incorporated to guide railway development with a focus on rail safety. In addition, the Ghana Railway Act, 2008 (Act 779) will be reviewed and the Ghana Railway Development Authority re-structured to decouple the infrastructure development from the regulatory functions. The Ministry will provide 200,000 household toilets and 20,000 Institutional latrines to selected communities under the ‘Toilet for All’ agenda in a bid meet the SDG on ending open defecation. In education the Minister revealed that capitation grant will further be increased. On matters relating to health, the Minister said the focus of health sector activities in 2018 will be directed at reducing morbidity and mortality (especially maternal and neonatal), and improving the quality of life. This will be achieved by increasing access to quality health services and improving efficiency in the governance and management of the health delivery system. The Minister revealed that under the Ghana School Feeding Programme, 1,677,322 pupils in the existing beneficiary schools in all 216 districts in the country were provided with one meal per school day. The Minister gave an update to a number of policy initiatives the government executed and some of which are in the process of being executedto structurally transform the economy through investment in agriculture, development of strategic infrastructure, investment in human capital and a deliberate push towards industrialization with active private sector involvement to create jobs and wealth, and improve incomes, thereby improving the standard of living of the Ghanaian. A number of these policies that were initiated in the year 2017 areon the taxes incentives, paperless port system, banking sector initiatives, the Zongo development fund, national digital addressing system, national identification programme etc. During the Budget Statement and Economic Policy the Finance Minister stated policy initiatives that government has put in place for 2018 and some of these policies are; The Akufo Addo Program for Economic Transformation (AAPET), Infrastructure through PPP, Nation Builders Corp, Collaboration with Faith Based Organizations, Electricity Tariff Reforms, Revenue Measures, Tax Compliance Measures, Financial Sector Initiatives, Promoting Economic Opportunities for Women etc. As part of governments’ measures to accelerate investments in Agriculture, Strategic Infrastructure and Industrialization, under the AAPET programme, the Finance Minister, Hon. Ken Ofori Attah assured the country that agriculture will be modernized to improve production and efficiency. Food security and increased profitability of farmers will also be achieved. There will be significant investments in the road and rail sectors of the economy to facilitate trade and the movement of goods and people. The Minister revealed that, One hundred thousand graduates will be employed in 2018 under the Nation Builders Corp. The Minister added that, only 10% of the graduate’s population is able to find job after school and that it takes the rest a period between ten years to secure a job. In 2018, government intends to partner with Faith Based Organizations not only to deliver critical social services in education, health and water, but also to support provision of skills and entrepreneurial training for the youth and the establishment of commercial enterprises. In fulfillment to the government’s promise, the government will ensure that electricity tariffs are reduced. In this regard, in 2018, efforts will be geared towards keeping the lights on at affordable rates to consumers, particularly industries and small businesses through reform and policy interventions over a two-year period. The electricity tariff structure will be realigned with government’s developmental goals of industrial transformation, growth and job creation.